LONDON—Tens of thousands of protesters are expected to turn out against Donald Trump when he visits Britain next week but some believe the protests are an embarrassment and that the U.S. president deserves a warm welcome. Trump will arrive in Britain on July 12 for a “working visit,” a more sober affair than the original plan for a state visit with its customary pomp and pageantry after it drew threats of mass protests. But anti-Trump demonstrators are still planning to show up, to the dismay—and glee—of his UK supporters. 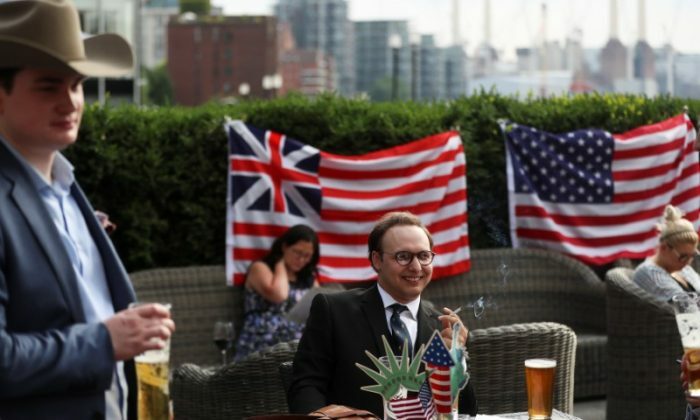 “He’s coming into the lion’s den, and it is going to be really fun to watch,” said Londoner Jack Smith, 28, at a party to celebrate U.S. independence from Britain on July 4. London Mayor Sadiq Khan, who has had a number of social media spats with the president, on July 5 gave permission for a blimp portraying Donald Trump as an orange, snarling baby to be flown over parliament. “He’s here to do more important things than worry about some protesters. I think it is very embarrassing, embarrassing for the protesters,” said 21-year-old U.S. student Drew Liquerman who is studying at Scotland’s St. Andrews University. 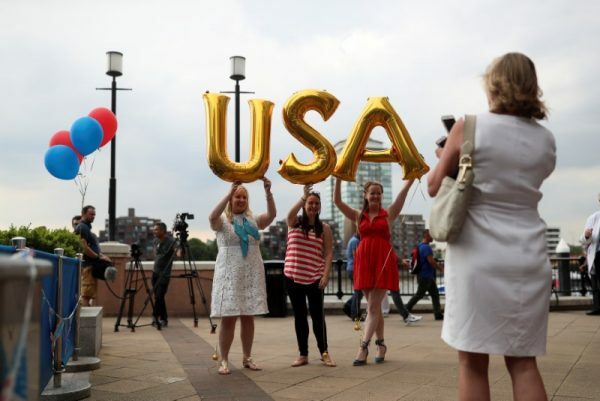 Erika Miller, 36, who has dual British–U.S. citizenship after marrying a Briton, said the protests would have no impact on relations between the two countries. “In terms of the special relationship—there is a strong bond from history, language, shared Western values that is going to continue regardless of the protesters here or in the United States,” she said. 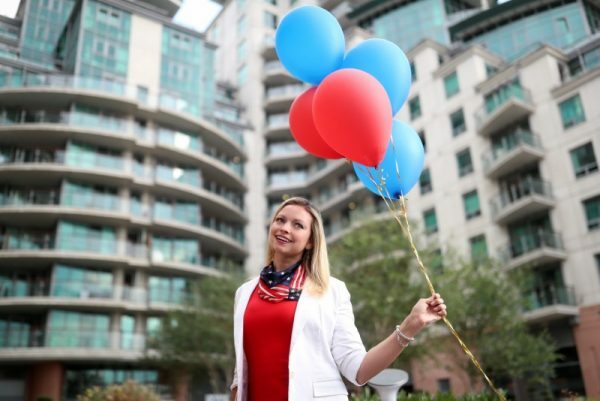 Malin Baker Bogue, 28, who works in government relations and moved to Britain from the United States in 2015, said she was not a fan of Trump despite being a Republican, but was still surprised by the anger he provoked. The Jameson in Hammersmith, west London, is changing its name to The Trump Arms to mark the trip and is hosting a welcome party in his honor. “We want to portray to the American public, who voted for him and who made him president, that not everybody is against him in this country,” said landlord Damien Smyth, whose wife is from New York. The pub is organizing an American-themed party to welcome the president to the country. “I know the man doesn’t drink but sure, we could make him a cup of tea. He’s very welcome and we’d love to see him because we can just thank him for making the world safe again,” he said. Smyth, 53, said he was surprised by the number of calls of support he’s received from young people about the celebration. “I’m just absolutely astounded,” he said. Epoch Times reporter Jane Gray contributed to this report.